If you’re reading this article you probably have at least a vague idea about the difference between brushed and brushless motors. Even so, I’m going to explain a bit about the advantages of one over the other. Did you check the articles I link in the buttons above? Good! Now, you might have heard that brushless motors are better than brushed, and that’s perfectly true. Lately, these motors are the staple of the RC (radio-controlled) world in pretty much anything from boat to aircraft. Even more so drones, which require a constant use of the motors while in the air. These are my best choices when it comes to cheap brushless drones in 2019. I know there’s a lot from MJX, but what can I do, they really make good drones. It’s not necessarily my exact order I would rate them, as they are all pretty good and differ quite a lot between what they are used at and their prices too. the brushless motors are more expensive than the brushed versions. Considering the last negative point made, when it comes to multirotor drones the same principle applies: They are more expensive overall than their brushed counterparts. 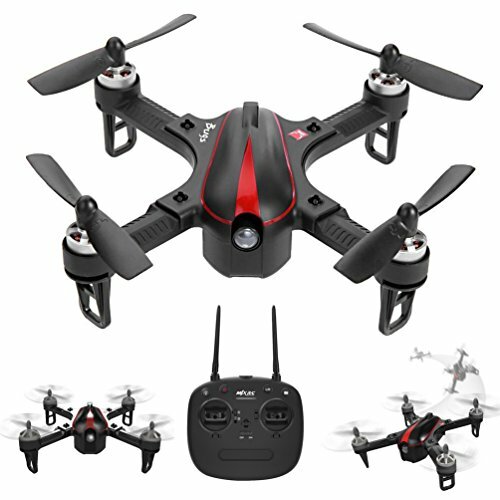 What are the best CHEAP drones that have high quality brushless motors? While many people think of products like the Phantom 3 series and other drones like Yuneec q500, there are way cheaper alternatives to these but don’t expect the same level of performance. I won’t make many compromises when it comes to quality, so the drones I’m reviewing here are still top notch, compared to some beginner ones for example. The Bugs 3 is by far my favorite drone from this list and that’s because it’s unbeatable for its price. The range and speed on this thing makes it able to also play the role of a racing drone no problem. I took the Bugs 3 drone around the town some time ago, recording just with a cheap action camera. My results were pretty great, but what you’ll see next will blow your mind! The following video is made just by attaching a go pro to this drone. Take notes on how this guy managed to create smooth video and how amazing the results are. Cheers to Maker Mind! The transmitter on this device is toy grade, but has enough buttons to do the job well. I like the fact that there is an unlock button for the motors, so you don’t accidentally start it. There’s also a button for doing flips that also works when you have a camera attached. However, I like to keep my go pro safe. This drone is super fun to play around with and race thanks to it’s powerful brushless motors and low weight. Xiaomi Fimi A3 is a very new drone even for 2019. Building on the success of the XIaomi Mi Drone, this new, cheaper drone with a slimmer profile has the potential to even beat the DJI Spark. It rocks a 1080p camera and besides coming with brushless motors it also has a 2 axis gimbal AND Electronic image stabilization. 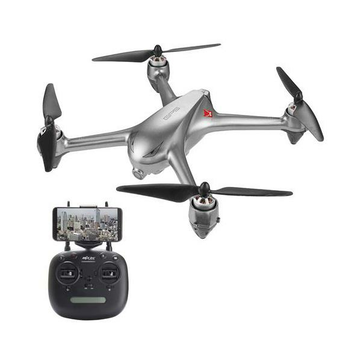 This is indeed the more expensive drone on the list, but it’s still under $300, which makes it incredibly cheap especially for one that has GPS, return to home and quite a nice range included. I’m really in love with this drone as it’s capable of 5.8ghz video transmission, which means you’ll be able to use goggles to see exactly what the camera sees. This is quite a game changer and even though I have more expensive drones at home, like the Mavic 2 from DJI, this one I fly more frequently just because it’s more fun. The transmitter for this drone is also quite unique as it doesn’t use your phone to fly around, but a 5.8ghz monitor instead included in the transmitter. I always prefer a controller like this because it’s simply less time for preparation and no need to complicate things with cables and apps that don’t always work *cough*DJI*cough*. The drone is very slim in profile, but I really wish it would have been foldable, as it still has quite a big footprint in your backpack for example. 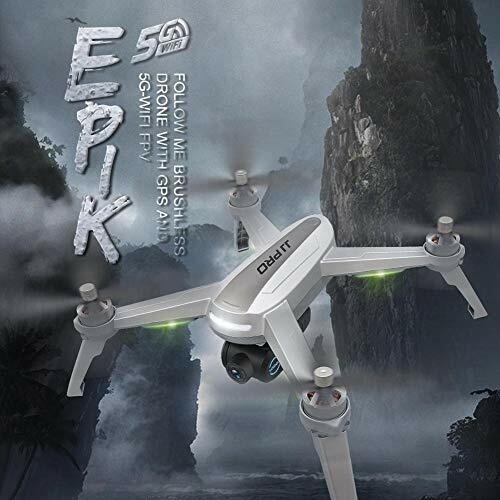 The JJPRO X5 EPIK is my top recommendation for everyone who’s looking for a good and cheap GPS quadcopter simply because it has incredible specs for the price. The main points are the brushless motors, the very stable GPS and the ability to move the camera. Of course the drone comes with a few useful features like low battery return to home auto RTH, circle around me, follow me and more. Until very recently we haven’t seen such features even in $1000 drones, so it’s quite surprising what recent technology is capable of. Here’s my recent review on the JJPRO x5, that surprisingly enough is almost the same drone as the MJX bugs 5w, but I did pick the JJPRO on this spot as I find it was cheaper and I like the body and color more. The brushless motors are one thing, but when you give me a drone with super capable GPS, a moving camera that you can control from your transmitter and even a good one at that… I simply can’t recommend it enough! you can even turn off the GPS if you want to learn flying a drone the hard way and compensate for driftinga and wind. The Bugs 3 mini is just that. 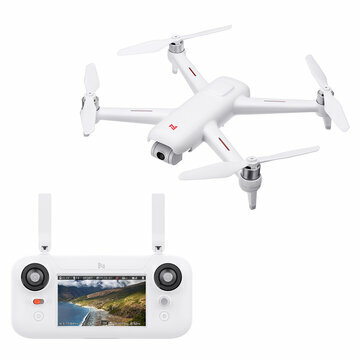 It comes in different package, the cheapest one being without a camera, while the others also having an FPV 720p camera included. You can also mount a smaller action cam like a Mobius on it if you want to record better footage. However, this drone doesn’t necessarily require a camera to be fun to fly. It can be a super fast racer and if you really want to get the FPV camera, then with a pair of 5.8ghz goggles you’ll get the full experience of either acro or angle mode flight. The bugs 3 mini is probably one of the best ways for anyone who already has some experience flying drones to get into the FPV hobby. You can even fly it a bit slower thanks to the two Speed rates available and it’s also a pretty rugged build so I say it’s quite hard to break. This is a drone for easoer carrying around in your backpack and having tons of fun with it. Don’t think of it as a camera drone. It’s a super fun, beginner racing drone that bridges the gap between beginner drones and professional FPV ones. The MJX Bugs 2 is the newer version of the Bugs 3( they got the numbers wrong). And this baby comes with brushless motors, an included Full HD Camera and super long range! The GPS it comes with makes it stay in place even in strong winds and it also returns to home if it loses signal! The camera doesn’t have any gimbal, but it’s definitely pretty high quality 1080p with a wide angle. I would say the MJX Bugs 5w is a better drone overall though. This is an older review of mine, but still very relevant to this day. A newer version of the Bugs 2 has appeared, called the Bugs 2 SE (silver edition) that has a few aditional GPS functions included. This is how the silver edition looks like. I am quite impressed how much better a change of color can look. 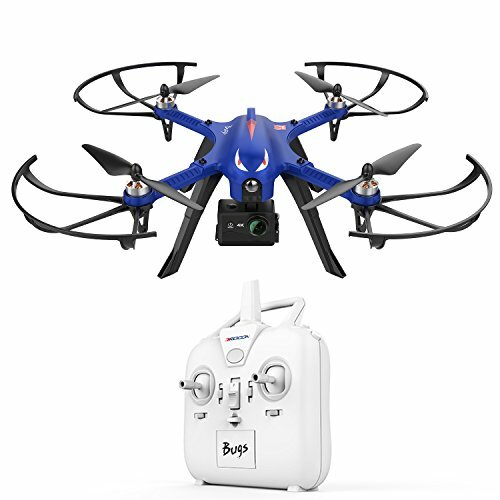 Not only that, it comes with all the original accessories, including the same transmitter, propellers and brushless motors. But all this with the addition of a few flight modes and the same price. The Aosenma CG035 has the second spot on my list mainly because of its incredible GPS follow feature. I recommend buying the version with an action camera slot, so you can upgrade the camera later. You can find toy grade brushed motors for the same price, yet this thing is making it on the top of my list as a very speedy and forceful brushless quadcopter. With its 2280Kv motors and plentiful battery charge (1300 mAh), it can stay in the air for 10 to 15 min and cut the wind like none other. As with the other drones on this list, I do not recommend it for beginners, as brushless motors can be to powerful to handle. it can tip over because of the not so wide landing gear. How to solve this problem: put the prop guards on, so even if it tips over it won't do any damage. This is probably the closest very cheap alternative for the Phantom 3 series. A great video platform with included GPS and a great hobby grade transmitter. It’s very resilient and pretty tough as it can sustain some beating, although you probably won’t have to find that out if you don’t do stupid stuff like testing the max range(like I did). nenea,da-mi si mie o drona d-asta de filmeaza!